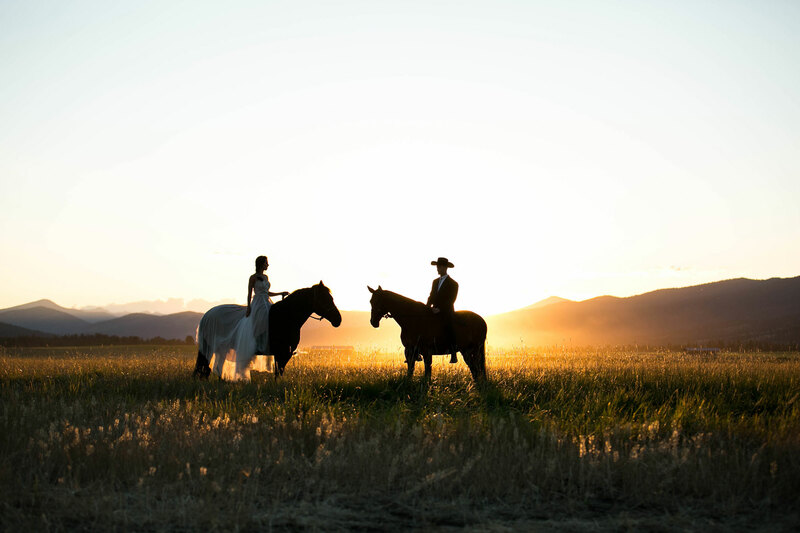 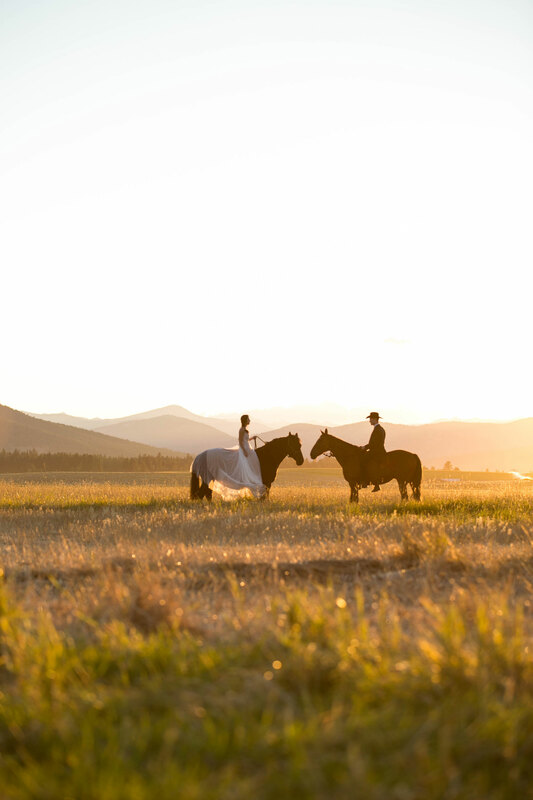 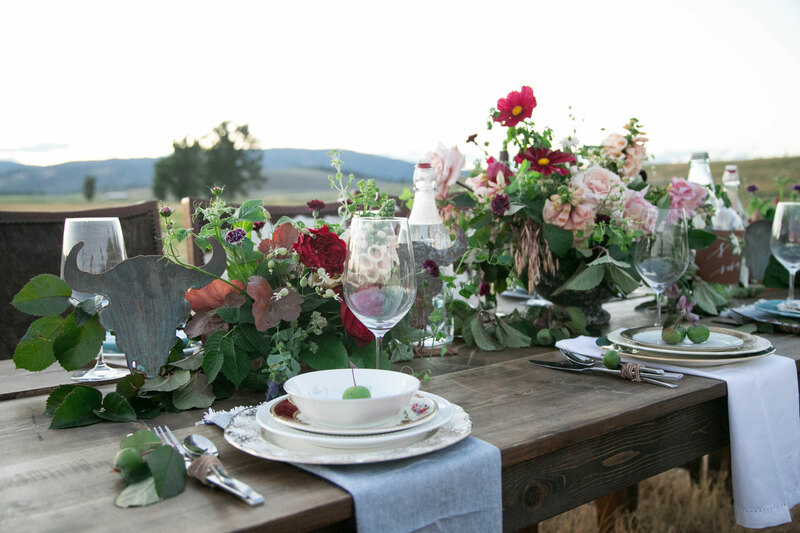 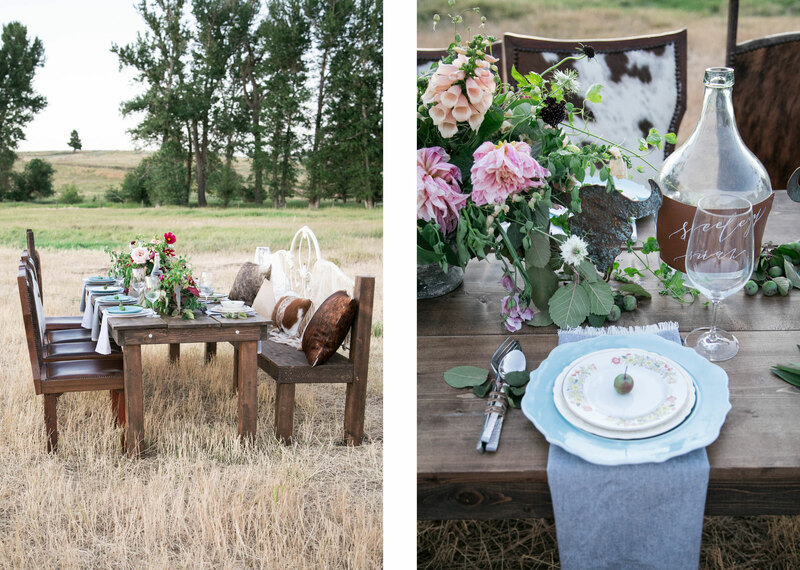 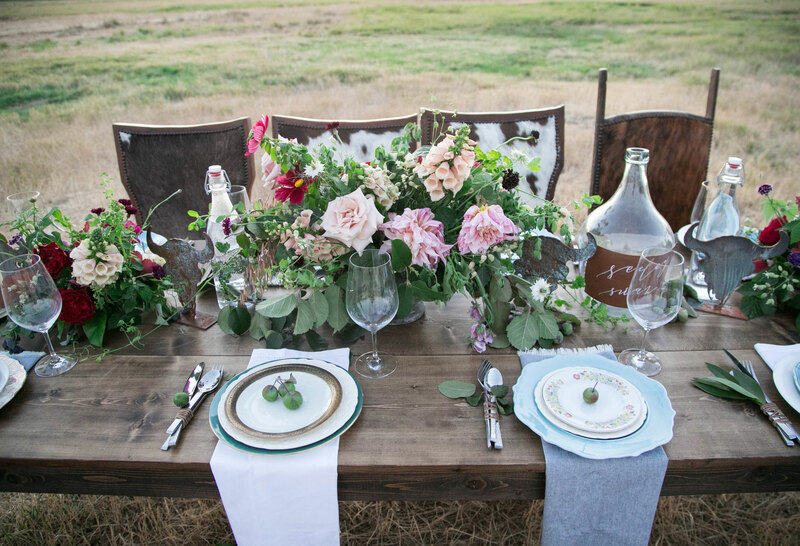 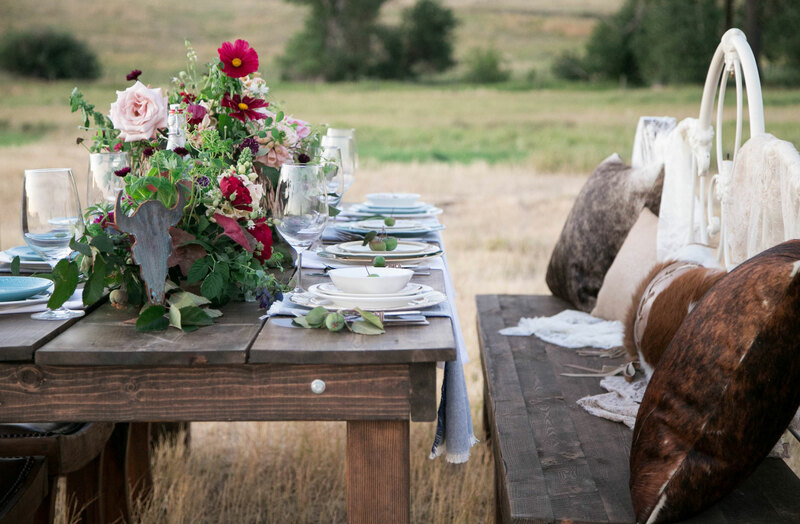 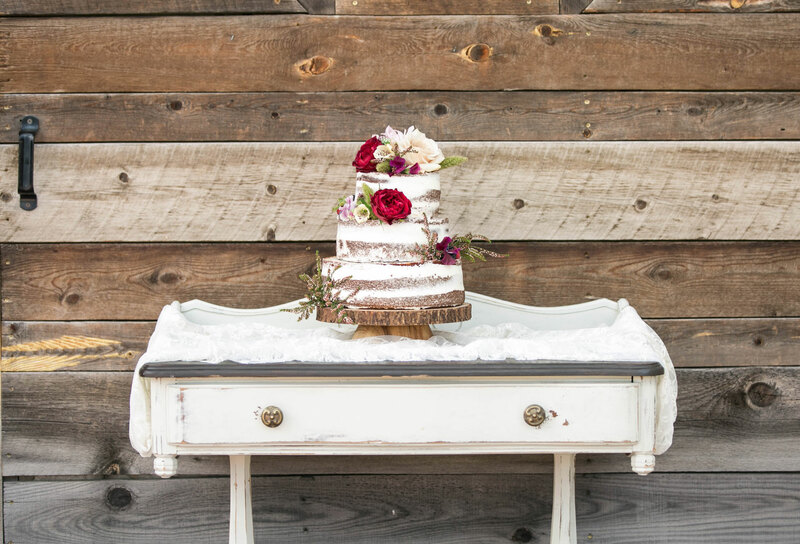 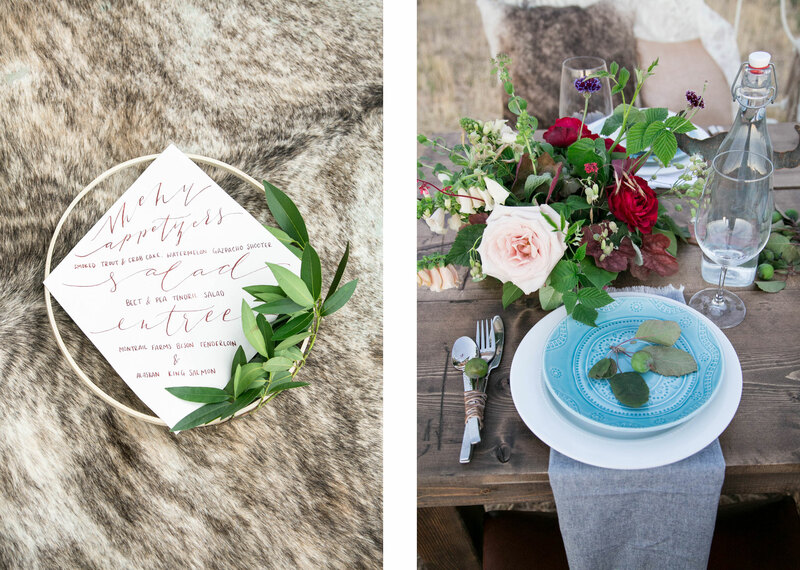 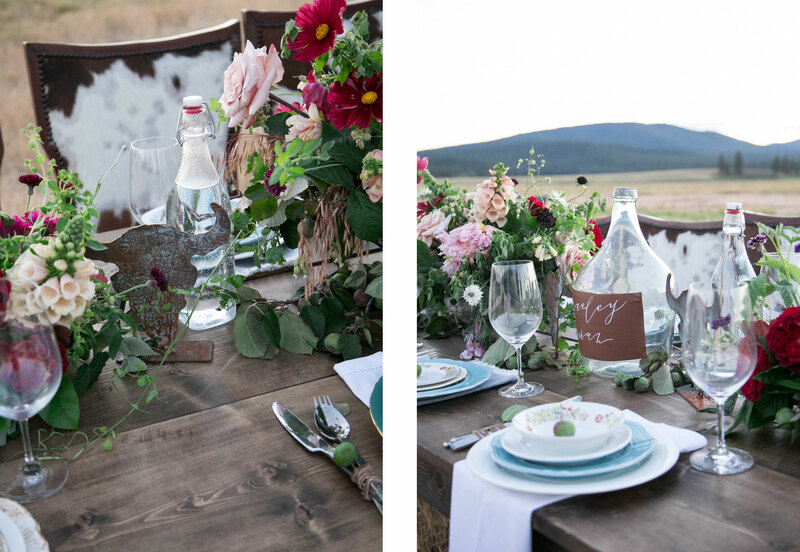 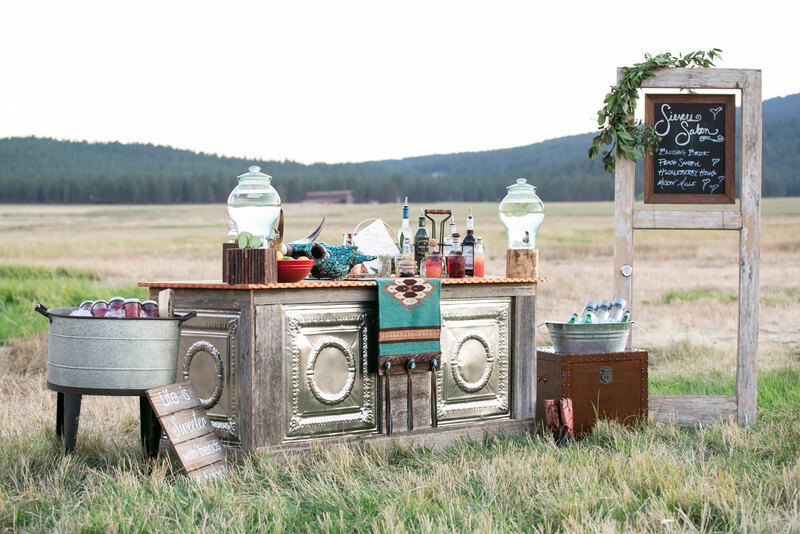 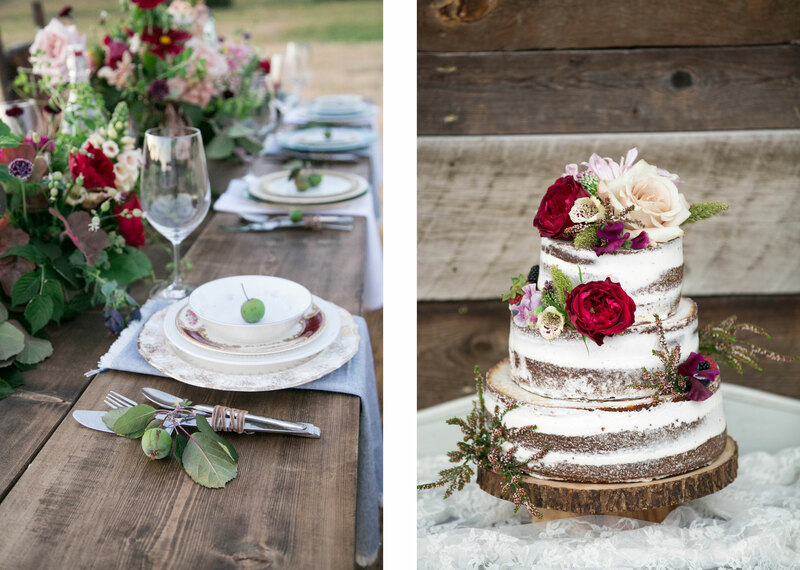 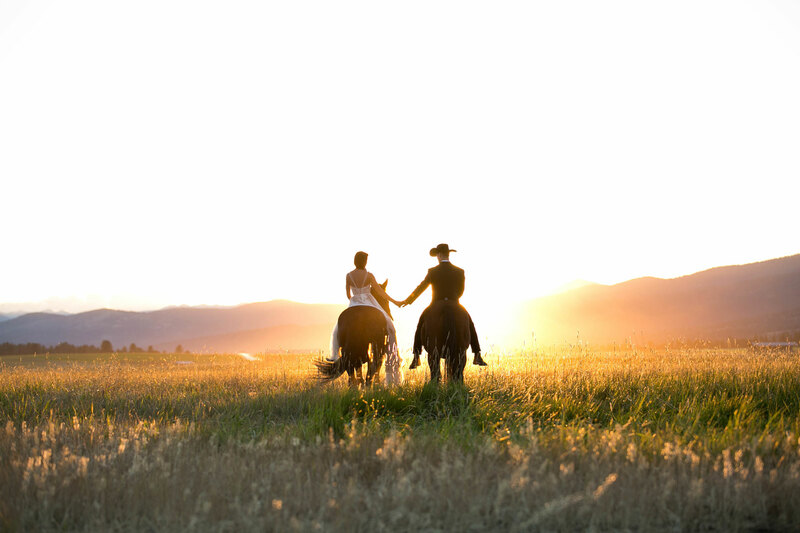 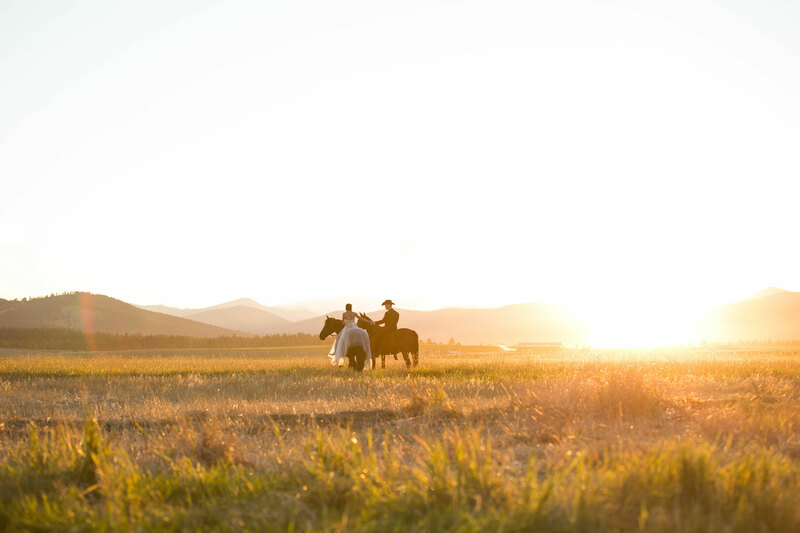 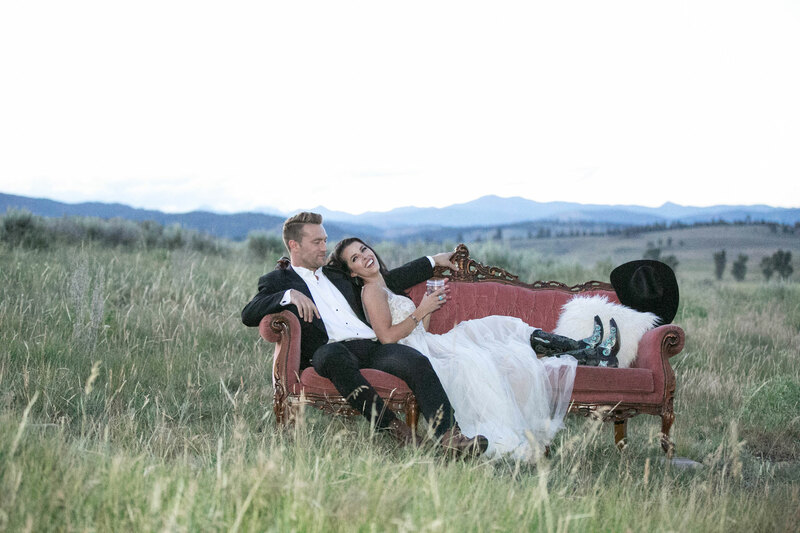 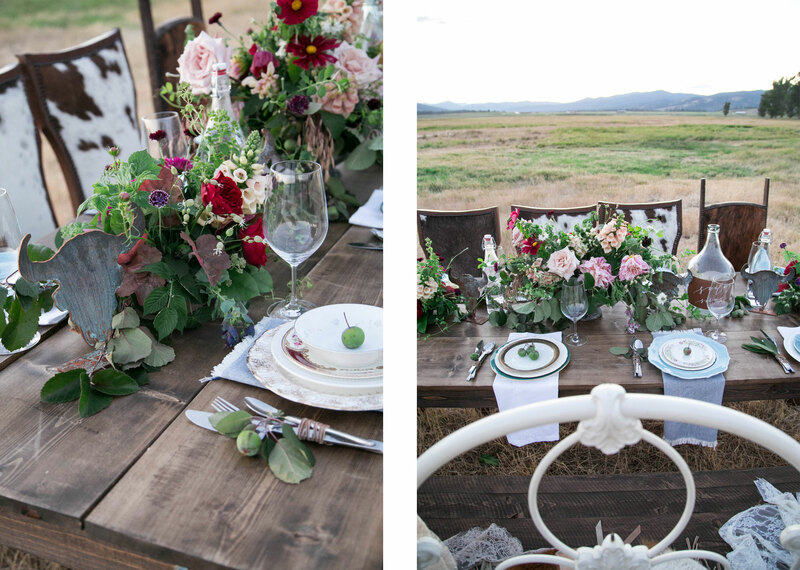 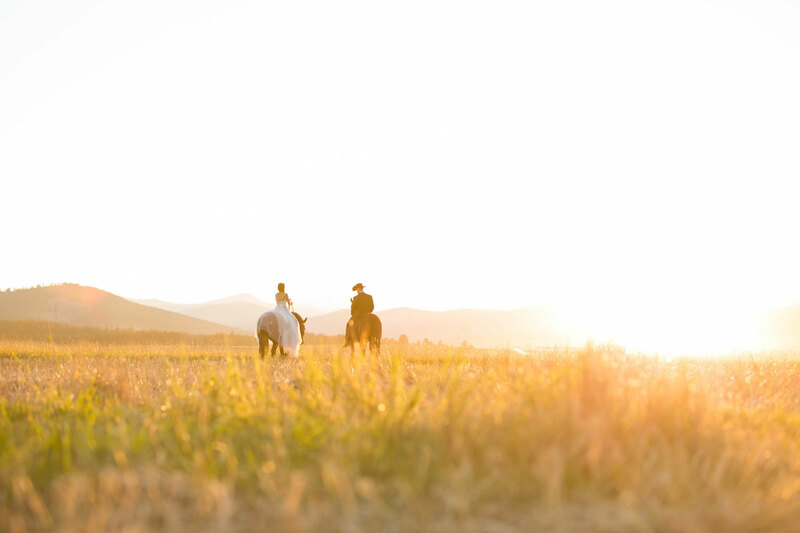 From the photographer, KC Kreit Photogaphy: This western ranch styled shoot is a shoutout to Montana. 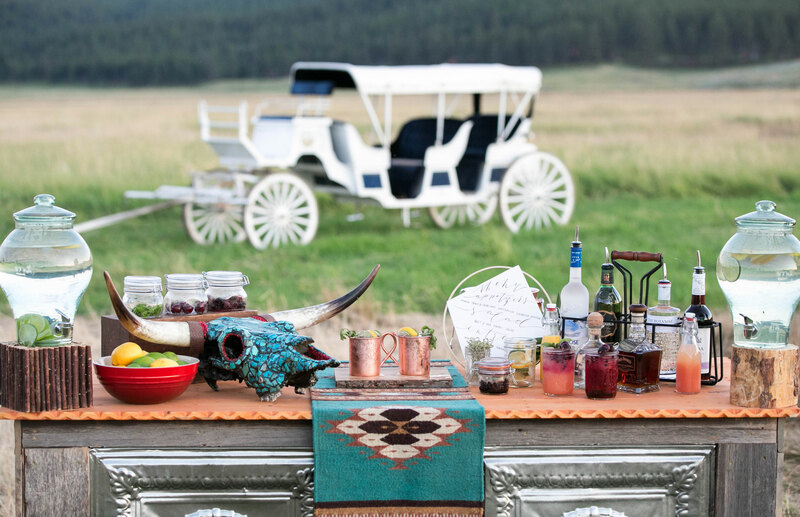 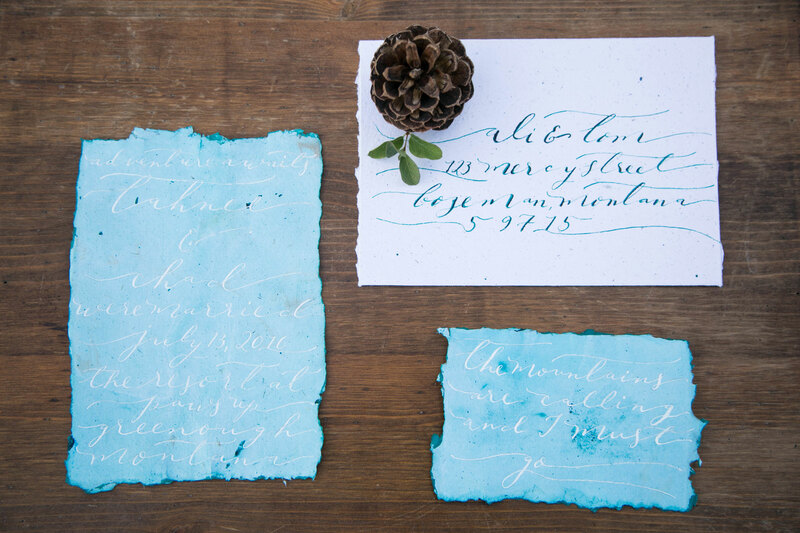 We had everything from horseback riding, a carriage, a styled dinner, and of course antique turquoise jewelry. 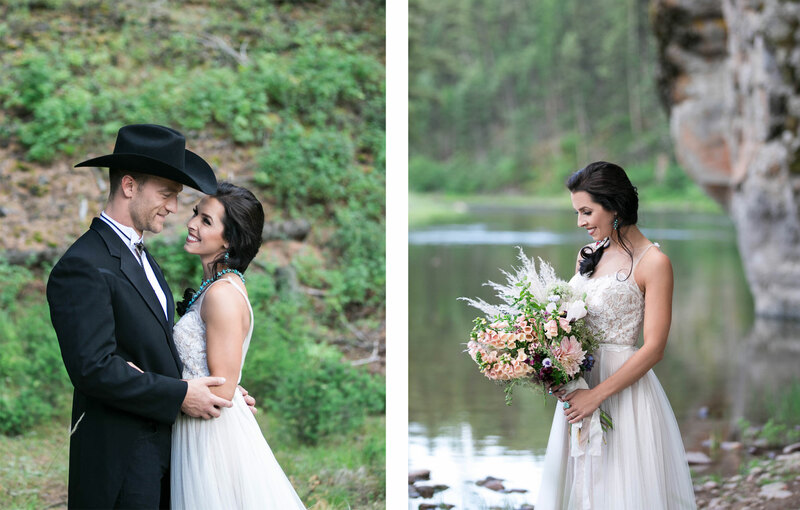 The bride, Miss Montana 2015, wore Willowby’s Penelope gown and she paired it with hand-painted cowboy boots, a vintage Native American hair pin, and new and antique turquoise jewelry. 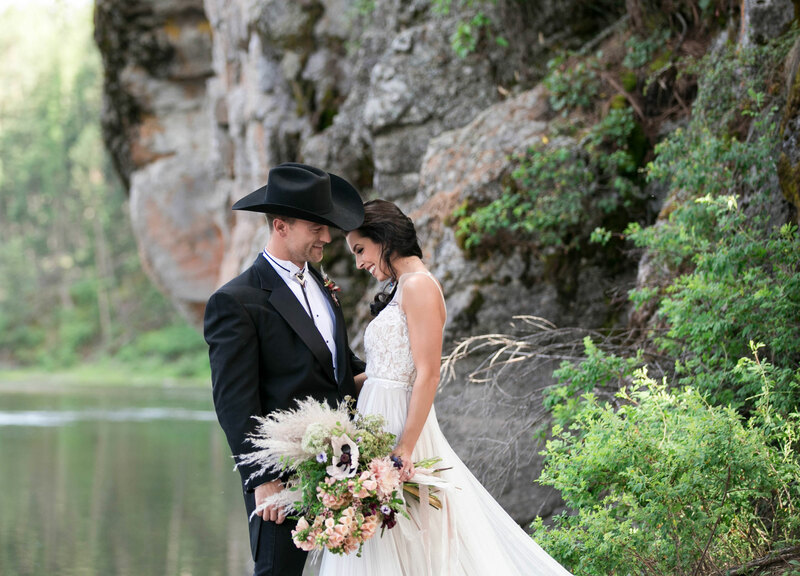 The groom wore a cowboy hat along with a ranch style twist on a tux. 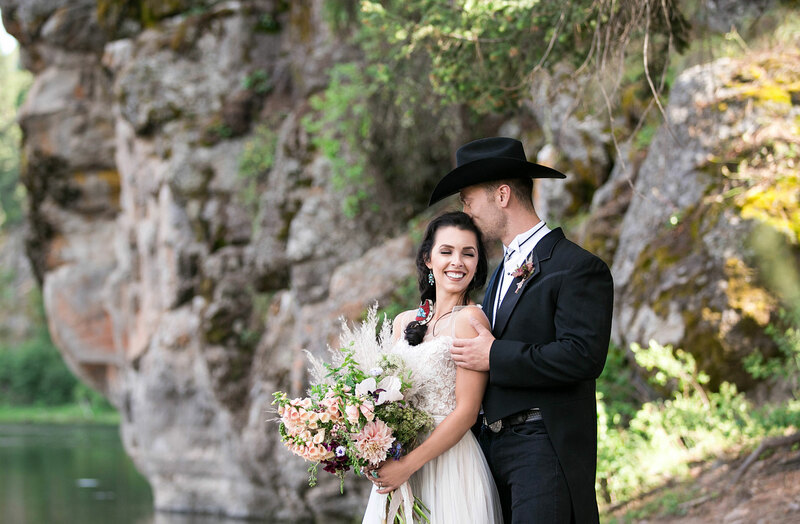 Other aspects included floral tablescapes, vintage turquoise artwork, Montana made decor, calligraphy invitations and menus, an outdoor bar with cocktails, a styled cake table, and a fire pit to complete the Montana ranch feel.